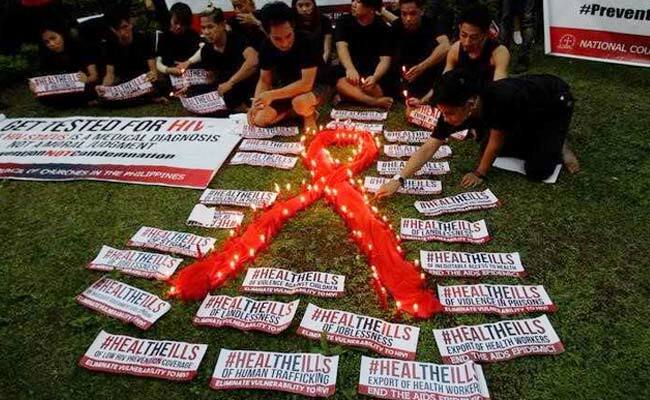 The AIDES association, which combats the spread of sexually-transmitted diseases, hailed Thursday's decision by the health ministry as a "great victory in the fight against HIV discrimination and for the dignity of HIV-positive people and their families." Paris, France: France on Thursday lifted a ban on embalming the bodies of HIV-positive people, ending three decades of discrimination in death against people infected with the AIDS virus. Since 1986, the process of embalming bodies to delay their decomposition a custom used in about one in three deaths in France has been denied to people with HIV/AIDS over concerns about transmission of the disease. Embalming involves injecting antiseptic liquid, mainly formaldehyde, into a body to stave off its decay. There are no known cases in Europe of embalmers becoming infected by HIV in the course of their work. AIDES director Christian Andreo said the ban was born of ignorance, at a time when HIV inspired terror and people "wanted to put HIV-positive people in lead coffins." Thursday's decree also covers hepatitis victims. The prohibition on embalming remains in place for a handful of diseases, including cholera, rabies and Creutzfeldt-Jakob disease.